YouView may have to change name after High Court ruling | What Hi-Fi? The digital TV brand YouView could be forced to change its name after a High Court ruling declared the name infringed an existing trademark. The long-running saga began soon after the company's launch, and saw YouView fail to register its brand as a trademark back in 2012. A High Court ruling has now found that YouView does infringe a trademark: 'Your View', owned by Total Ltd., an independent telecommunications company. Total has stated that it "will now be seeking an injunction against YouView to prevent any further use of the name ‘YouView’, together with financial payment and legal costs". A YouView spokesperson has told What Hi-Fi? 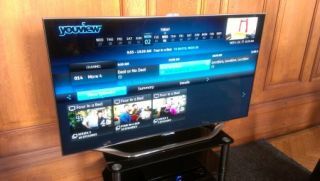 : "We plan to appeal against the court’s decision, as we maintain there is no confusion between our consumer-facing TV service, YouView, and the business-to-business billing platform, Yourview, provided by Total Ltd."
YouView had argued the trademark was invalid and that there was no infringement, but Mr Justice Sale in the High Court has ruled otherwise. This is the third court ruling in Total's favour against YouView. YouView is the internet TV service backed by the likes of the BBC, ITV, BT and TalkTalk – and launched with the help of Lord Sugar – which brings digital TV and catch-up online content from all the big providers together in one easy-to-use package. The Humax DTR-1010 YouView box was our Freeview HD recorder of the year in our 2013 Awards. YouView is yet to respond to the ruling.